Another subject that I tend to find soothing to paint is foliage. I like detailing out trees, tree bark, ferns, branches, flowers, blades of grass… all that stuff. 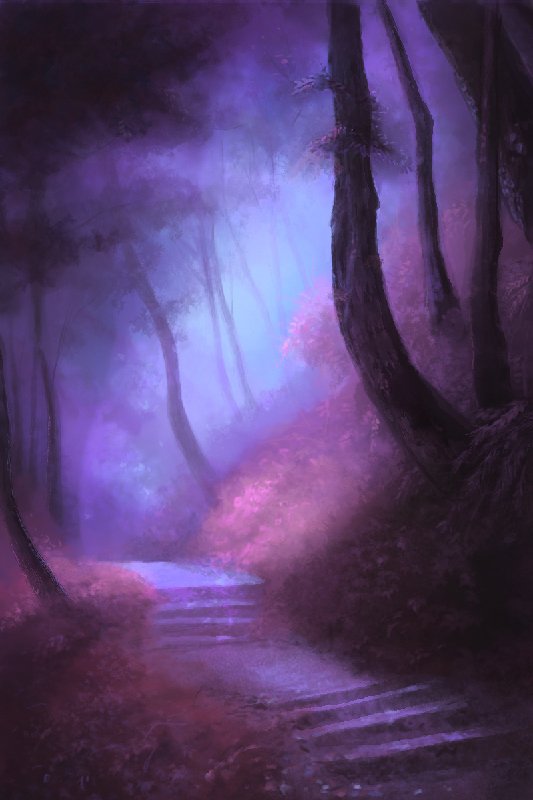 It can be difficult for me to work quickly when doing these sort of environment pieces, so setting a time limit for myself is quite a challenge. This one took me a couple of hours if I recall. It is a little sloppier than I would like, but a challenge is a challenge and I had to call it quits or risk working on it until my eyes fell out.